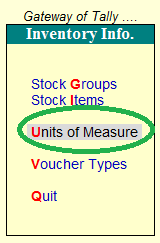 Usually Stock Items are measured in a Unit, e.g., Pcs, Kg, Ltr, Nos, etc. Different items may be measured in different units. 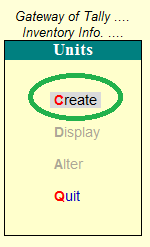 You can create Unit of Measurement as per your business need. 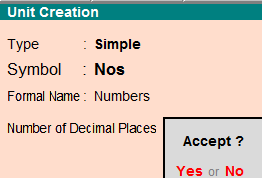 You can specify the Unit in which the item is transacted-normally one Unit. However, some items may be transacted in 12 units also called dozens. 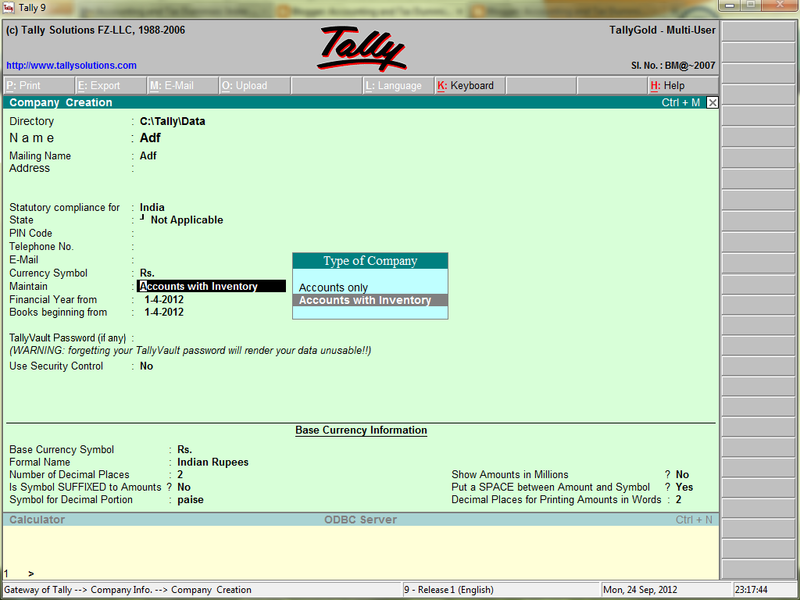 Tally allows you to specify upto 2 Units for a single Stock Item, one as Unit and the other as Alternate Unit, you define relationship between the two Units. 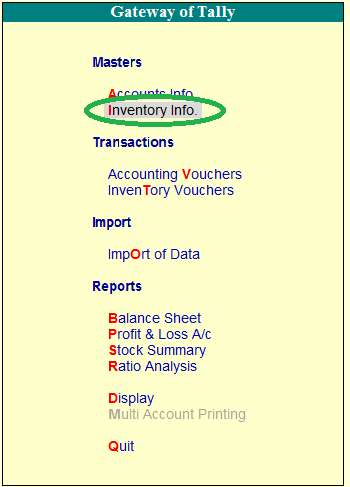 > From the Gateway of Tally select "Inventory Info" / Enter "I"
> From the Inventory Info select "Unit of Measure" / Enter "U"
> From the Units select "Create" / Enter "C"
Note: You can see Inventory Info option in Gateway of Tally, If you have select Accounts with Inventory option when you create company. 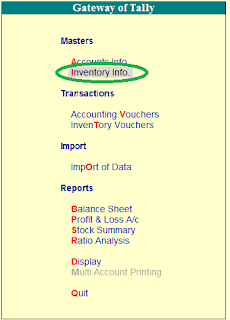 If you select Accounts only option, you can't View Inventory Info option in the Gateway of Tally.